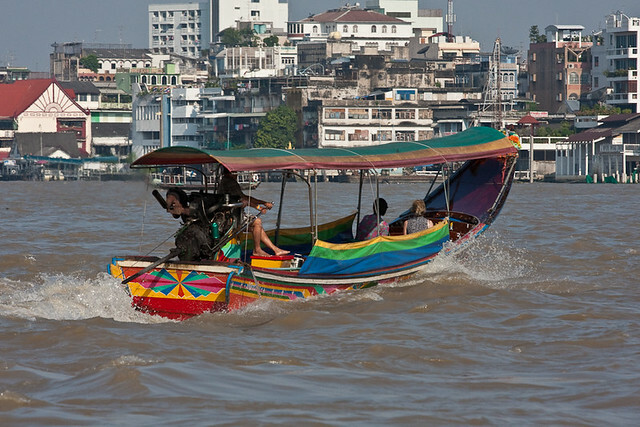 One of the nicest ways to explore Bangkok is by boat. Sure, there are not nearly as many rivers and canals left as there once used to be, but it makes nonetheless for a beautiful time. You get to see different parts of town – some luxury hotels, some run-down shacks by the water, some nice traditional old wooden Thai houses where families reside. It is a reflection of the many facades of Bangkok life, all thrown into one area, all mixed up together, and despite all their differences somehow managing to live harmoniously together. That’s why if you visit Thailand’s crazy capital, you should at least do one Bangkok sightseeing tour by boat.